Most of my favourite instagramers in Paris went to this cafe. 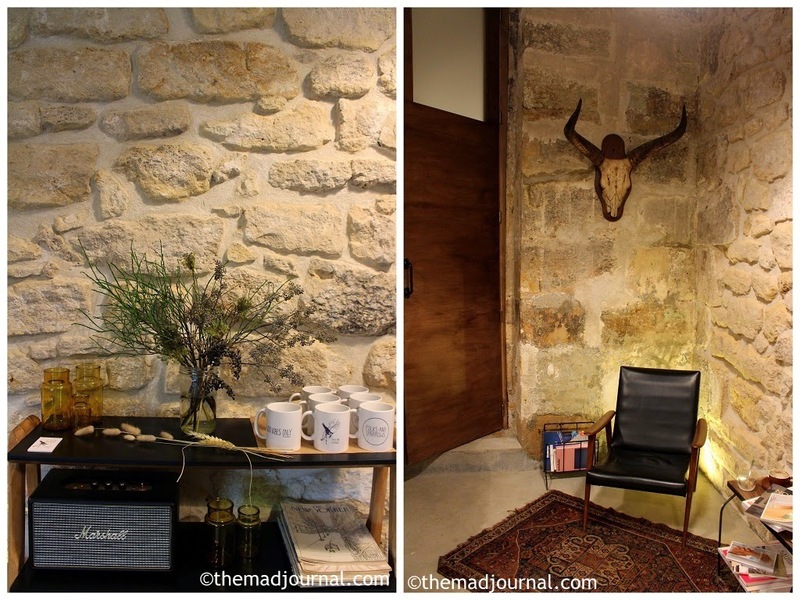 It's cozy cafe, but I love the interior, specially the stone wall and tiles. Not only coffee, they have selected groceries. Parisienne beer with cute label. Although I arrived there in late afternoon, I had a bagle sandwich as I didn't have lunch because I was too busy to walk around Paris. The sandwich was fresh and delicious. Their cafe latte too. I had time until the Ballet starts, so I was reading magazines in the cafe. I loved the top one, the travel magazine (book?) about Berlin.